Inside Dual Zipper Vinyl Pockets, roomy space to hold the cosmetics, perfume, shampoo, makeup brushes, etc. Easy to organize the belongs, pack up and go. 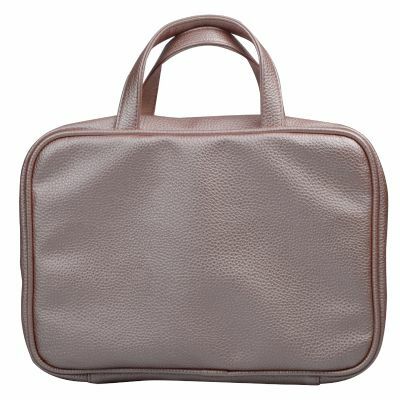 We can further personalize the bag with heat-embossed logo onto the centre, or right corner of the front of the handbag, as a high and exclusive promotional gift.